There is a famous saying of Lao Tzu which says- "Even the journey of a thousand miles begins with a single step." No matter whatever is our Goal, unless we begin, we are never going to reach anywhere. Let it be any kind of goal. Once I met an Author. I asked him, "How to become an Author or a Writer... how did you become a writer?" He replied, "There is a long story. When I was a student, I was good at English. There was one of my friends, his name was Havishanta. He was also good at English. He used to get the first prize in English essay competitions and score more than me in exams. I used to stand sometimes second position or sometimes even third position. One day, I asked him, 'Why don't you give your essays/articles to reputed magazines or national newspapers.' He replied, 'Have you gone mad?.. It is not child's play. Many people send their articles to various publishing agencies. But only few are selected. It is a different thing to win a prize in the school in a competition than submitting articles for publishing.' And he never tried. Later on, we did our M.A. in English literature. Still, he was scoring more marks than me. He chose his career as a Teacher and I chose to become a Writer. One cannot choose profession as a writer as there is no entrance exam to become a writer. There are no coaching centres which teach how to become a writer. No doubt, there are coaching centres which teach how to write business letters or official letters but there is no any such institute which teaches you how to become a writer. I wanted to become a writer but not knowing how to become a writer. Everyone around me was pulling me down except few who trusted me. One day, I happened to find two quotations which were shared on face book. Those quotations were- "Even the longest and the most difficult ventures have a starting point" and "Even the longest journey must begin where you stand." These quotations were roaring to me- "To begin is to succeed." I said to myself that I would start writing without having any fear that whether it would be published anywhere or not. And that is how I started writing. Although for six months, I did not get published but I learned many things. Then, I did editing to my articles. I added few lines and deleted irrelevant matter. I read the published articles and was able to understand what was lacking in my articles. Soon, my articles started publishing in national magazines. And gradually, I got published in news papers. This encouraged me. It gave me an impetus to write a novel. I wrote a novel and got many prizes, including international prizes. 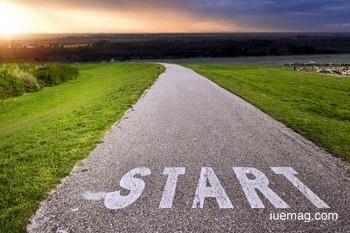 "To begin is to succeed" is my success formula. If I would have not started writing my first article, I would have not been what I am today." Like this writer, there are many people who are creative and talented. But unlike this writer, they never begin just because of fear of failure. Many talented people remained unknown to the world just because they did not have the courage to begin. Who knows, if they would have begun, they might have been another Leo Tolstoy, William Shakespeare, Elbert Einstein, Newton, Rabindranath Tagore, Swami Vivekananda etc.